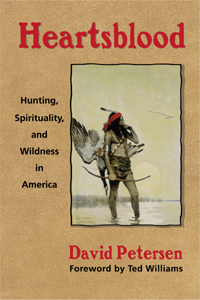 Reading Heartsblood: Hunting, Spirituality and Wildness in America. Many thoughts. I will share in forthcoming posts. Huge distinction here on the type of people that hunt. Petersen breaks it down into the three types of hunters. Utilitarian Hunters – Hunt for food. prevalent in rural areas. Sport Hunters – Hunt for sport. Disconnected from nature,, separate. Trophy hunters. Hunting media and the common conception of hunters by the mainstream. Nature(natural) Hunters – Spiritual connection to nature, animals and the hunt. Deep appreciation of the primal nature of hunting and the natural world.